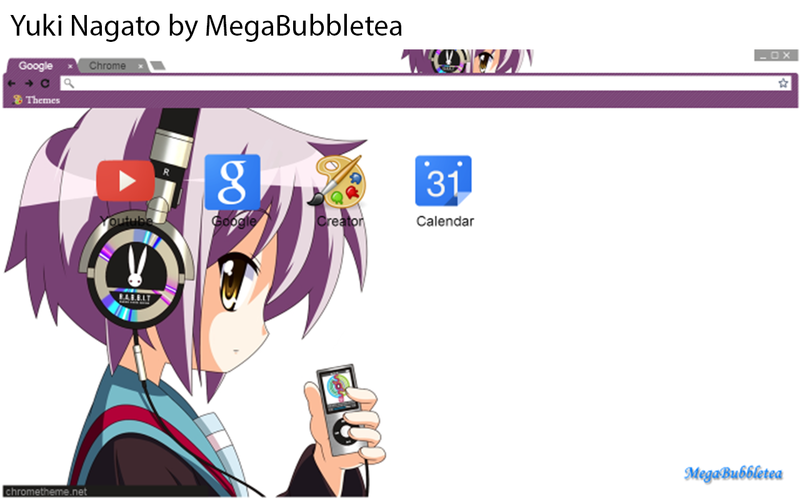 Here is another theme created for Chrome featured Yuki Nagato from the popular Haruhi Suzumiya series! The theme is purple (obviously) since Yuki's hair is also purple! 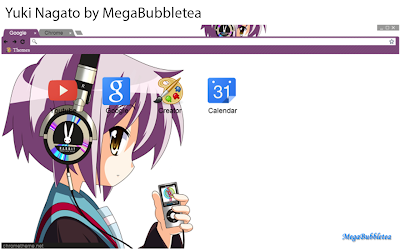 This is the perfect theme for those who like Yuki Nagato and the colour purple. Enough purple! Purple everywhere! Enjoy the theme.